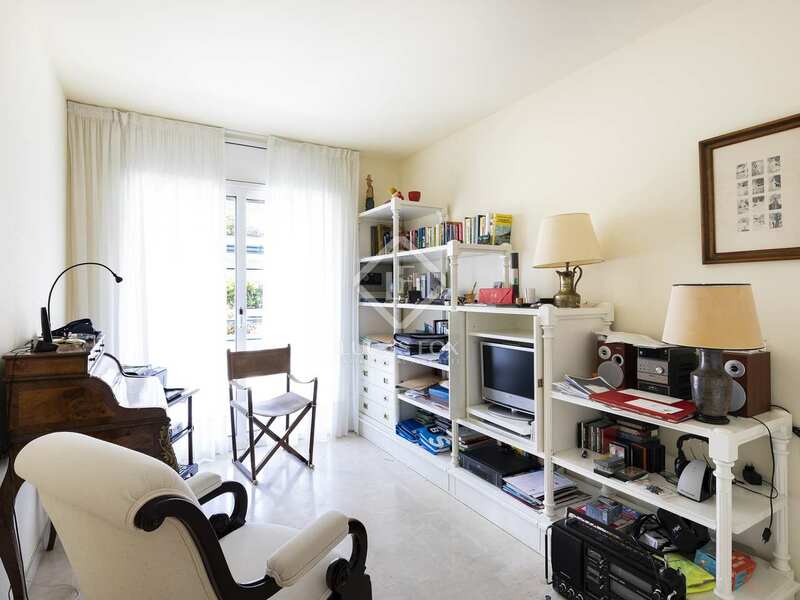 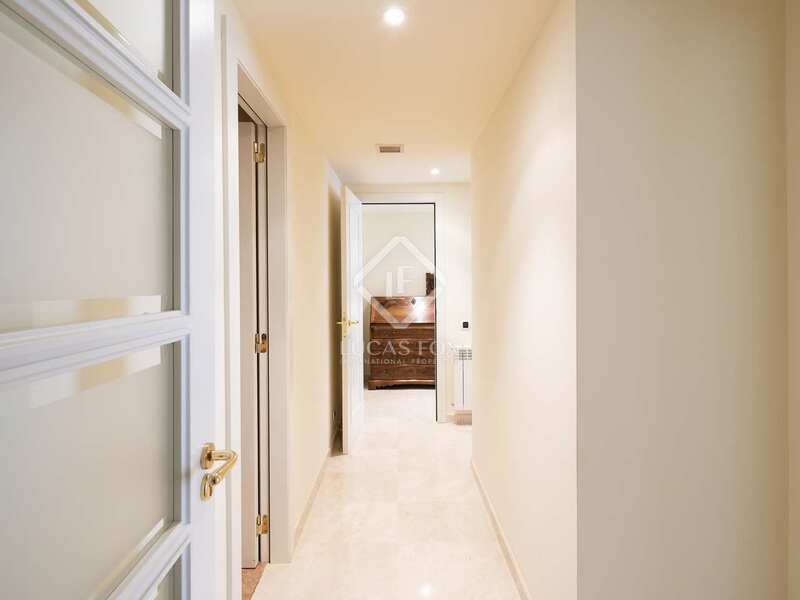 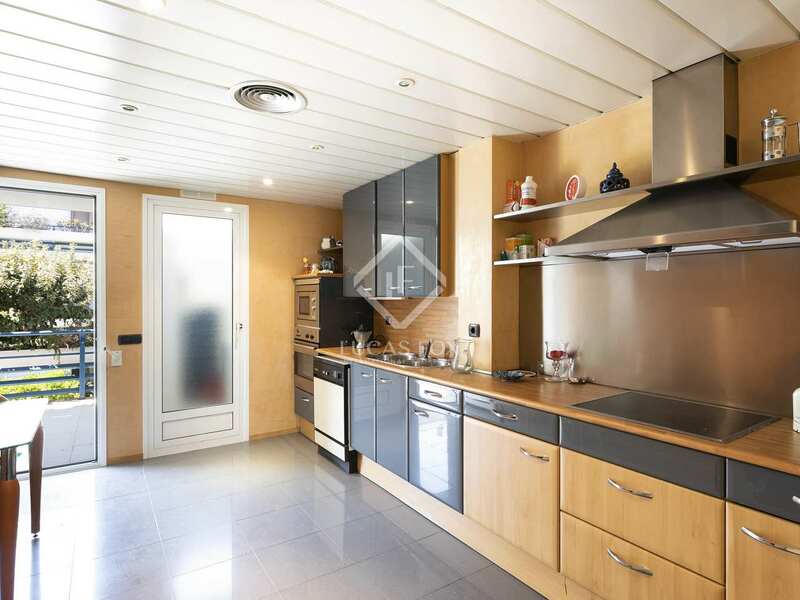 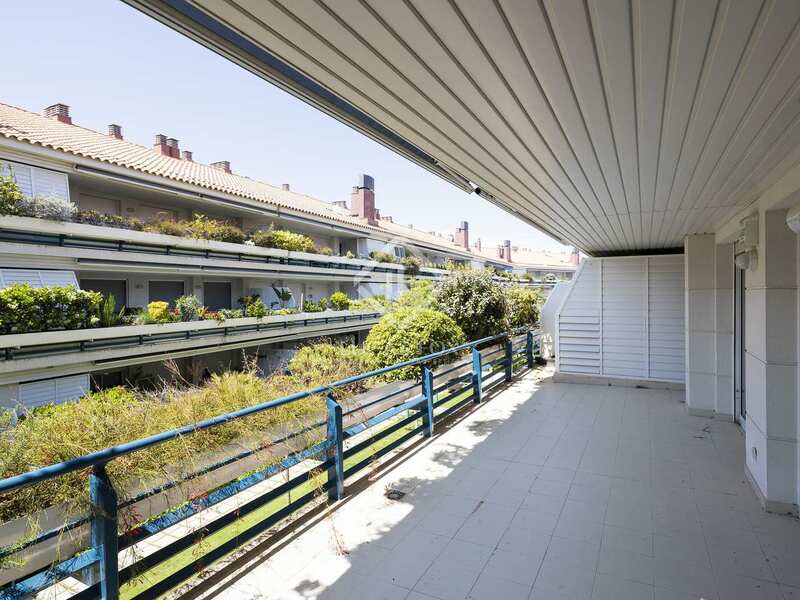 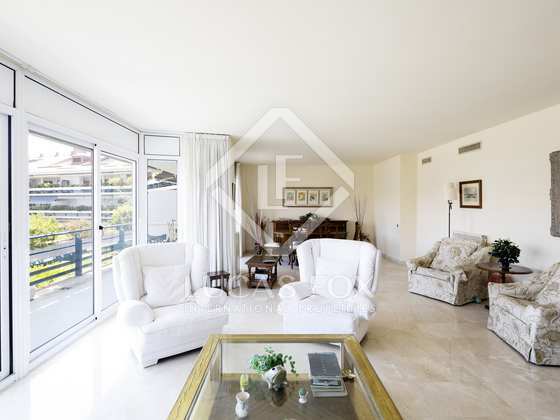 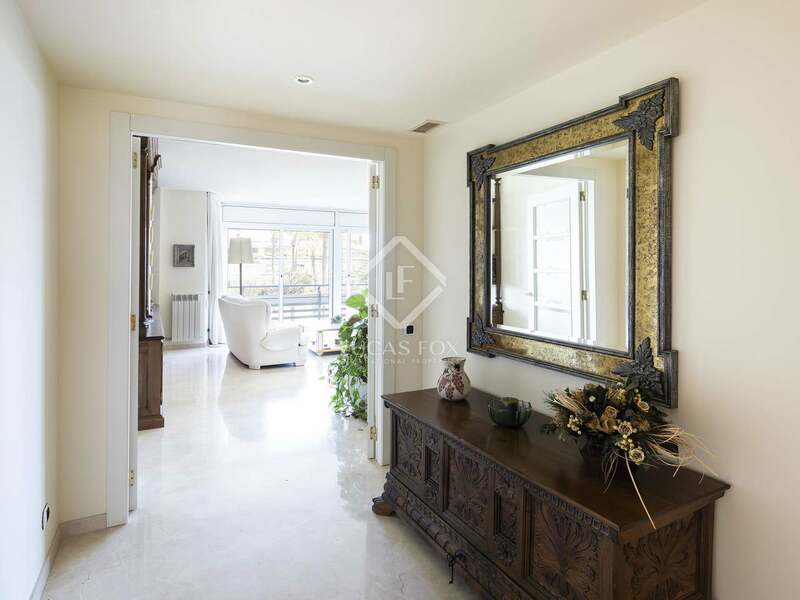 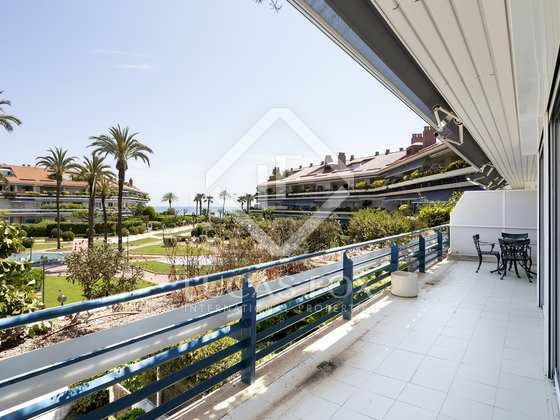 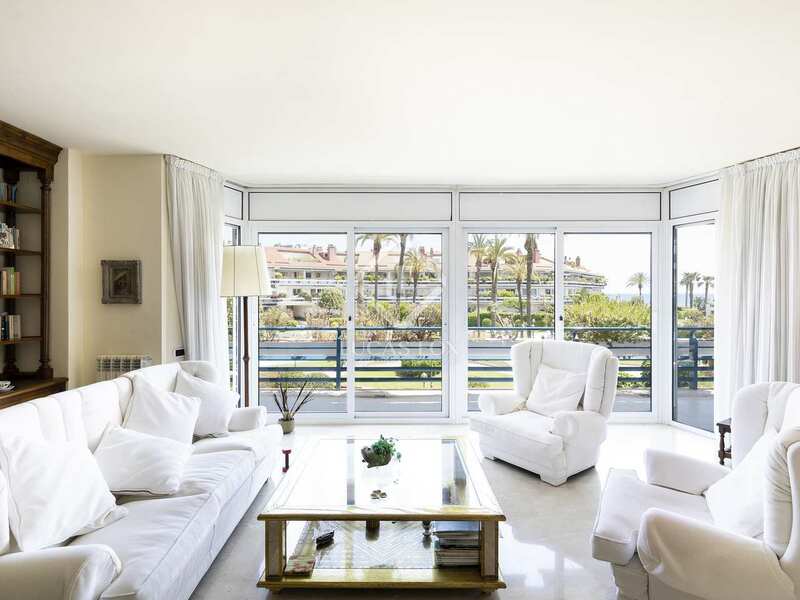 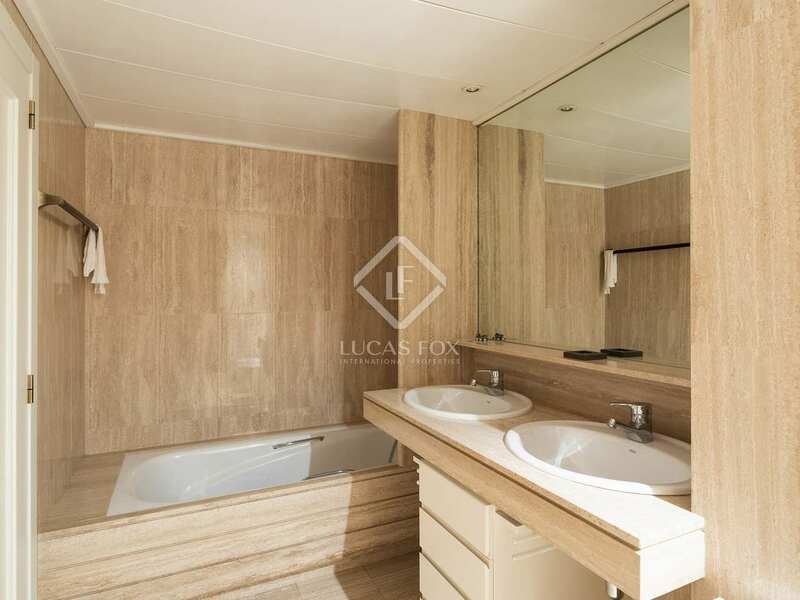 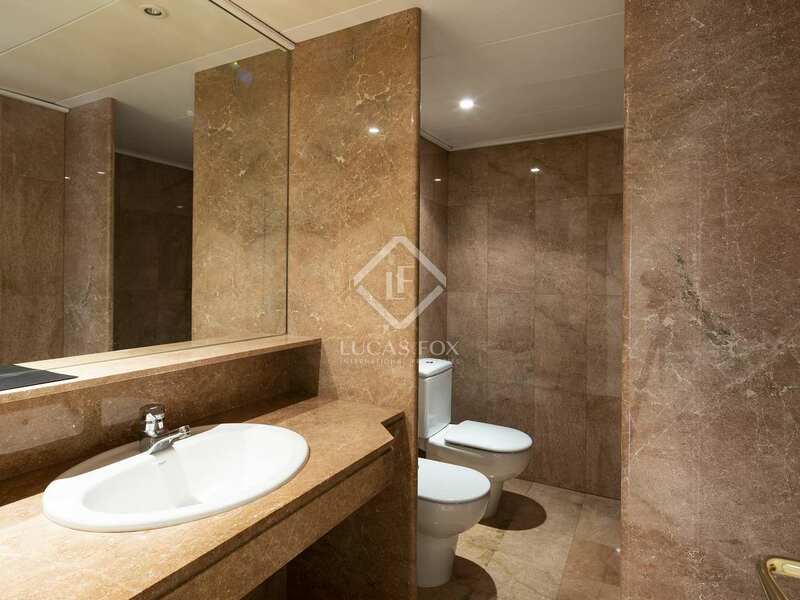 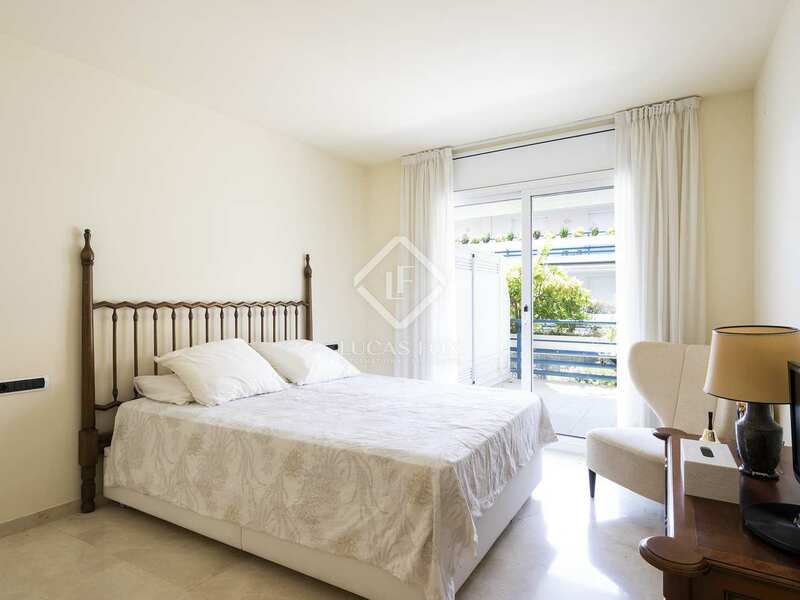 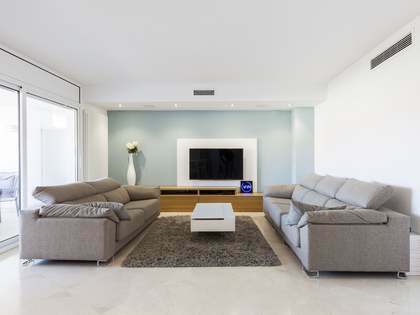 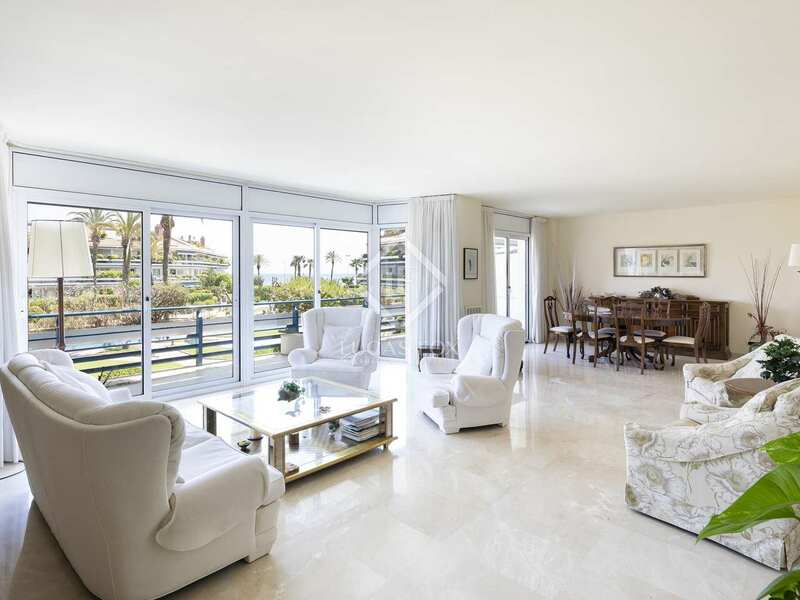 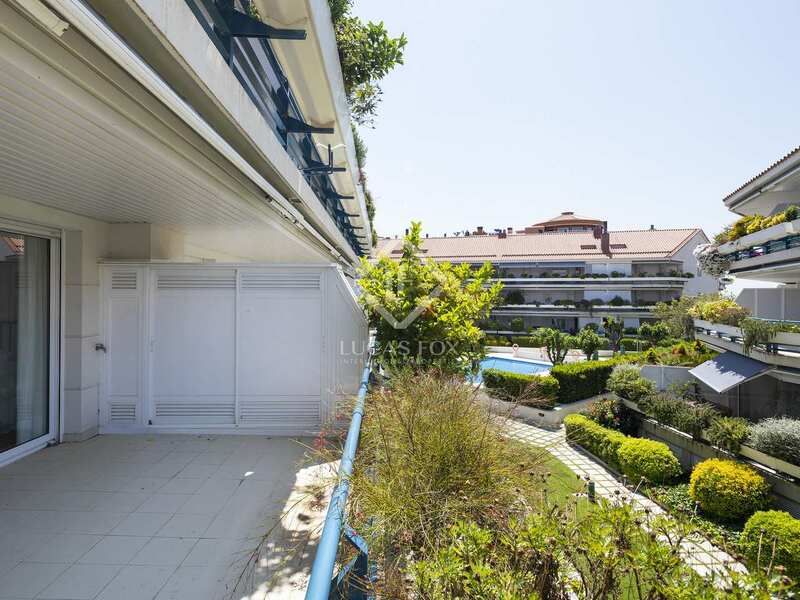 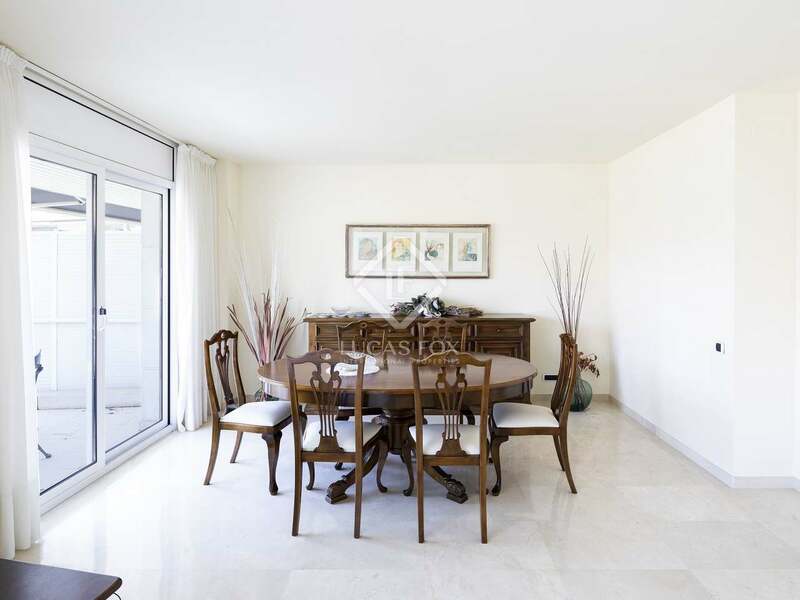 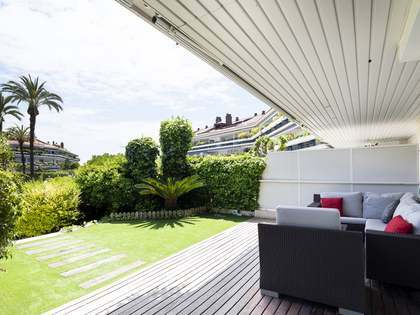 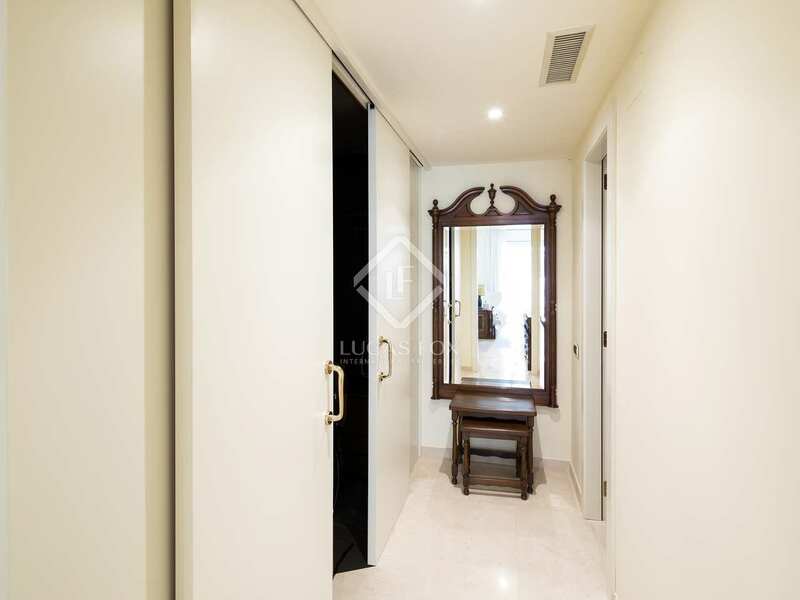 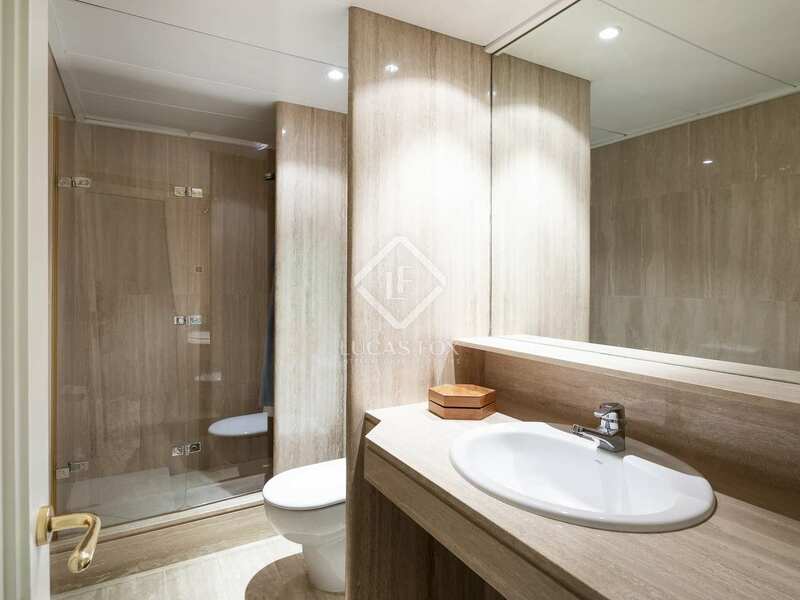 We find this first floor property on the Paseo Maritimo of Sitges, within a seafront complex called Parc del Mar. 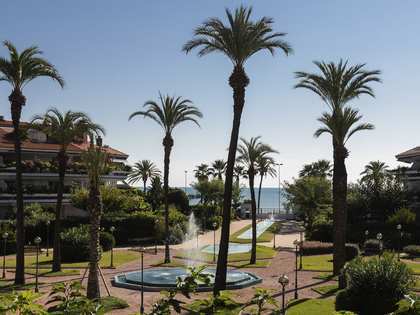 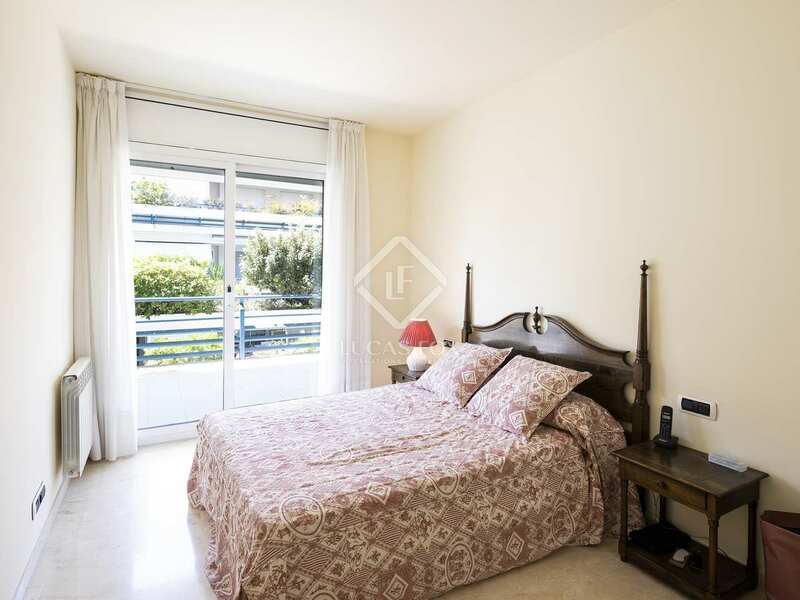 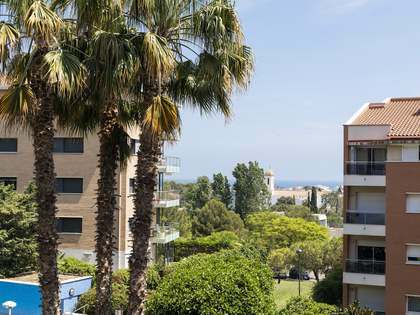 It is situated directly opposite the beach, off the main promenade and it is a pleasant 20-minute walk along the seafront to Sitges town centre. 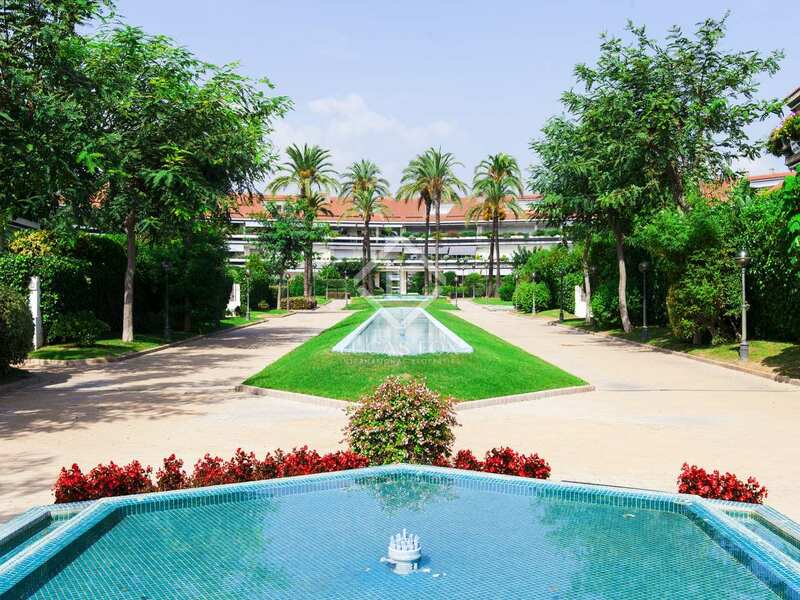 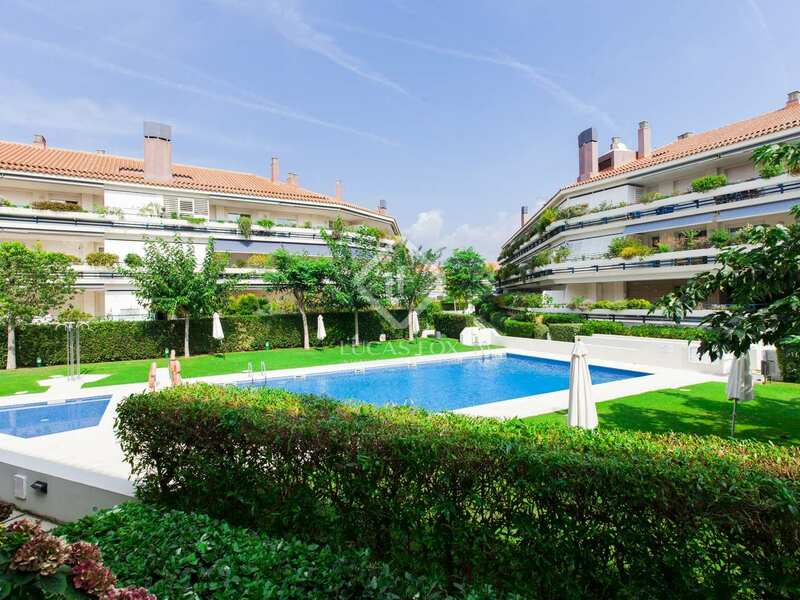 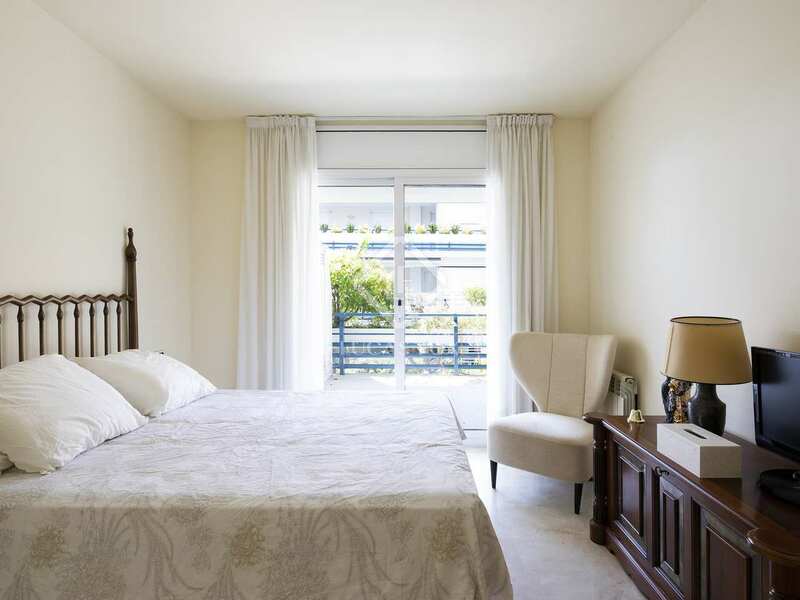 The complex has a wonderful communal garden with a pool, fountains and beautifully landscaped green areas as well as a 24-hour concierge service and surveillance. 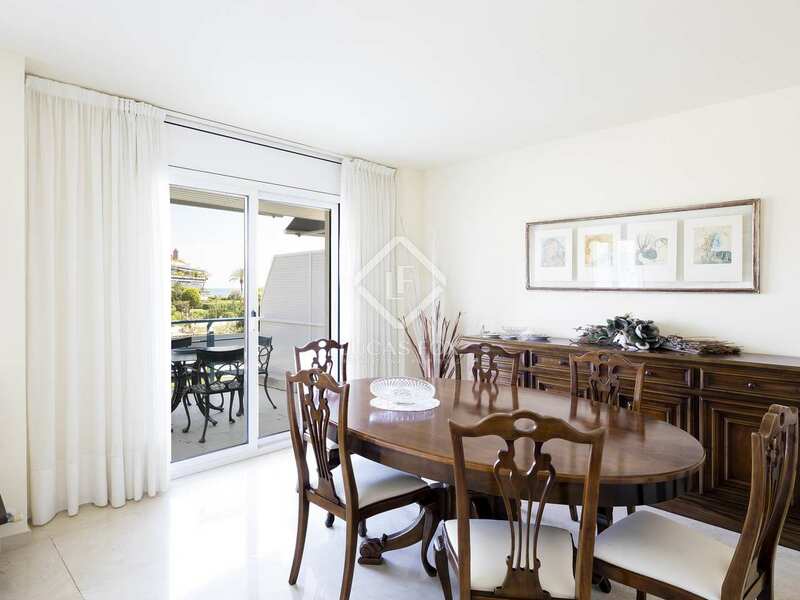 From the entrance of the apartment we find the spacious living-dining room which provides access to the large terrace with sea views. 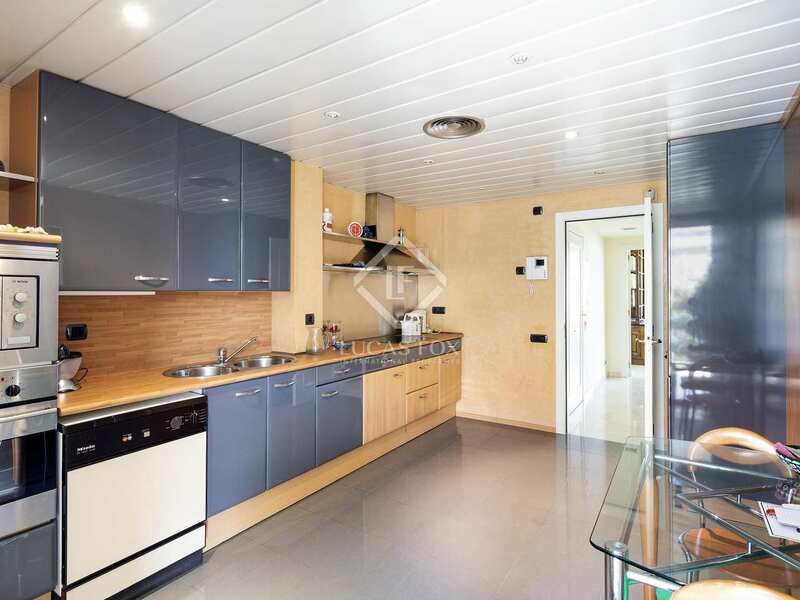 On the right hand side of the main entrance is the kitchen with a utility room and access to the rear terrace. 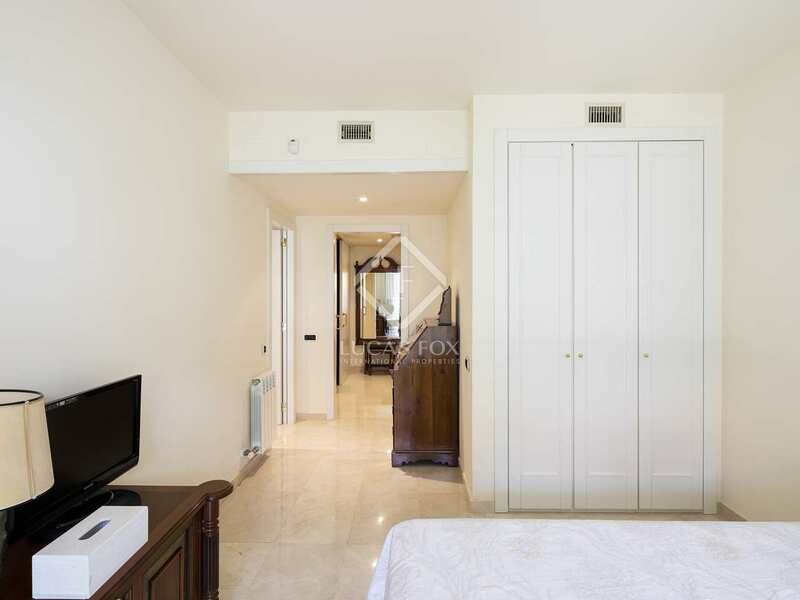 Straight ahead from the main entrance we find the 3 double bedrooms and 3 bathrooms, one which is an ensuite in the main bedroom which also has a walk-in closet. 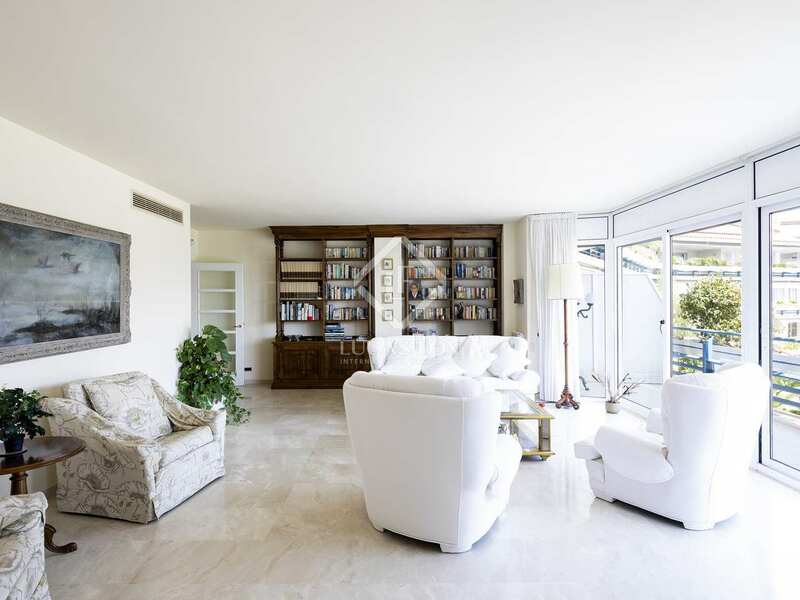 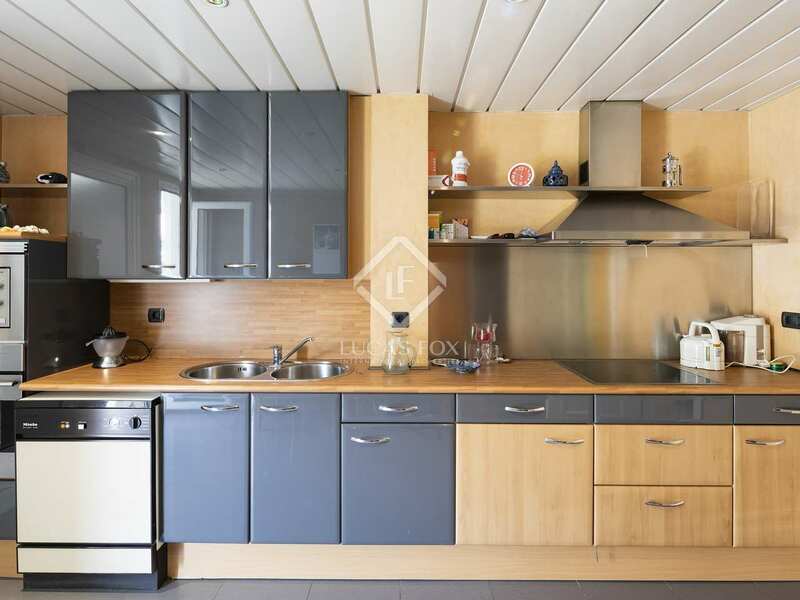 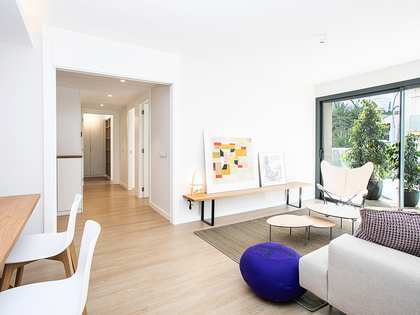 This bright property enjoys plenty of sunlight, even during the winter months. 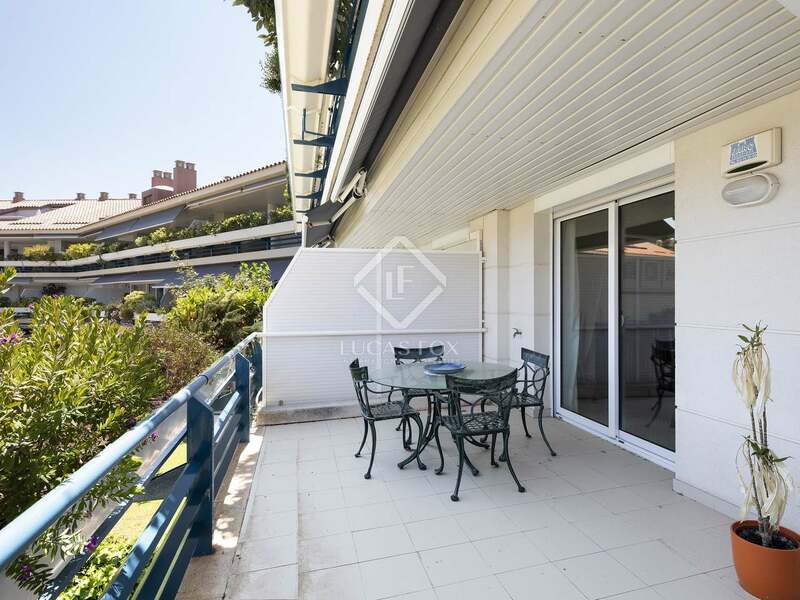 Furthermore, it is being sold with 2 parking spaces and a storage room included in the price. 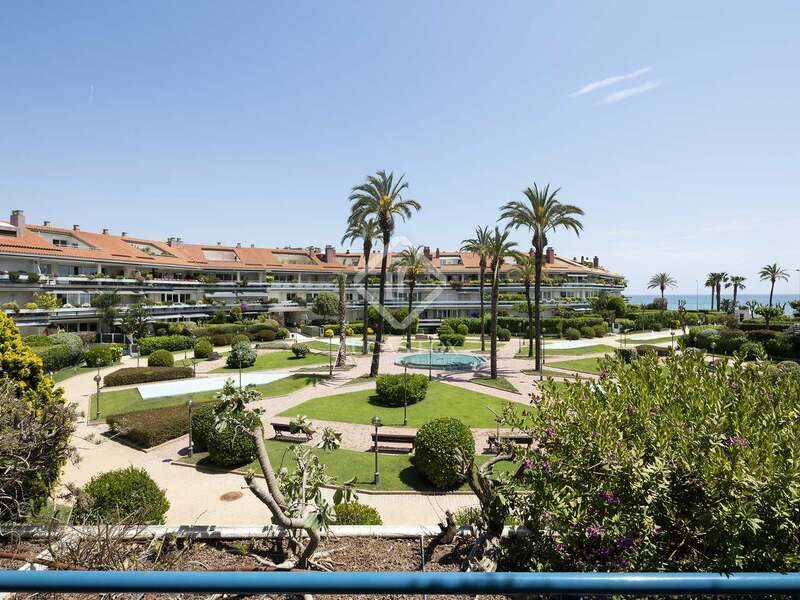 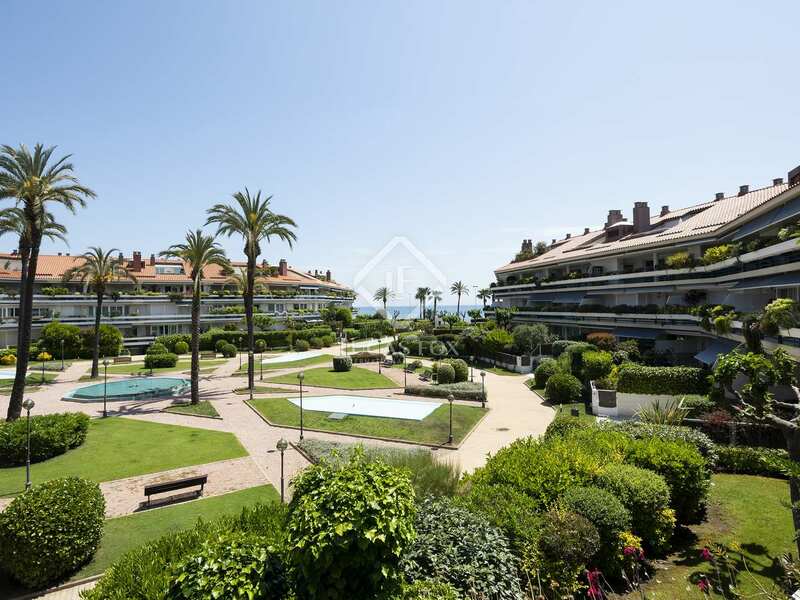 With features such as the high quality finishes, the private terraces, communal pool and the proximity to the beach and Sitges, it would make a very lucrative rental investment. 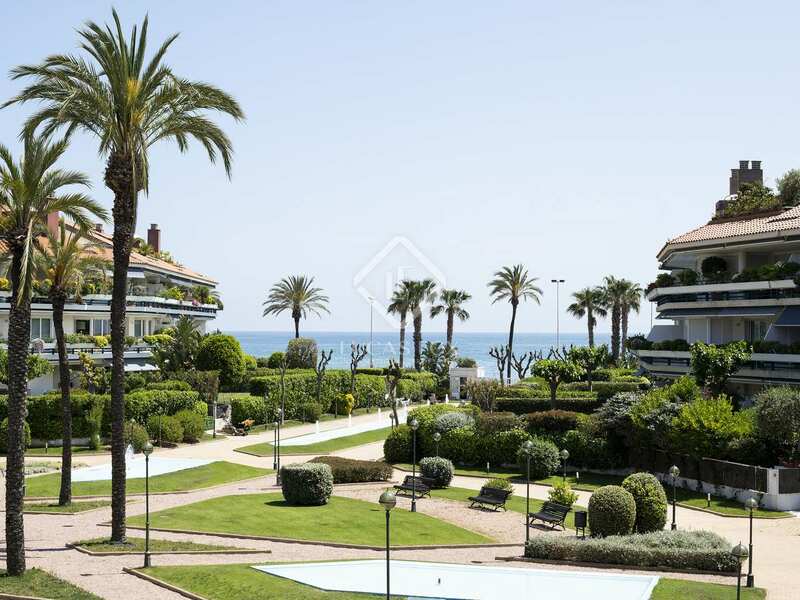 We find this property on the Paseo Maritimo of Sitges, within a seafront complex called Parc del Mar. 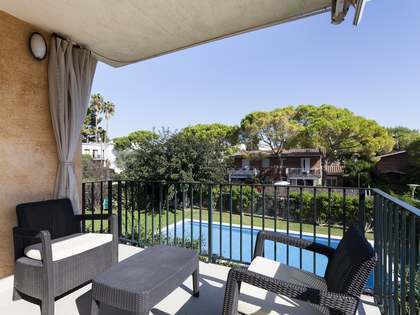 It is situated directly opposite the beach, off the main promenade and it is a pleasant 20-minute walk along the seafront to Sitges town centre.